. The machine uses PLC control, touch screen input. More stable performance, easy debugging simple function. 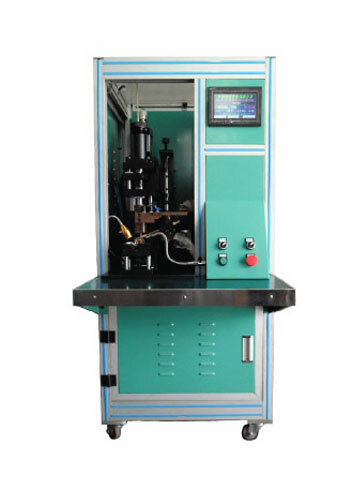 The machine uses the motor indexing, so that the welding speed faster and more accurate.
. The machine uses a special sensor positioning, no need to automatically position the bit. Discharge system automatic voltage regulator. The machine for mold operation is simple and quick, welding needle with water cooling and air cooling in two ways, so that the welding effect is better. 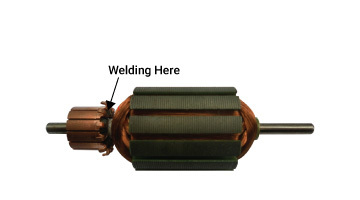 Adaptation Suitable for Hook, Slot Rectifier Electric Drive Welding. Power Supply AC220V / 20KA.